Delegates in the city of Durban in South Africa have been trying to agree on a new global treaty to tackle climate change for the last two weeks. 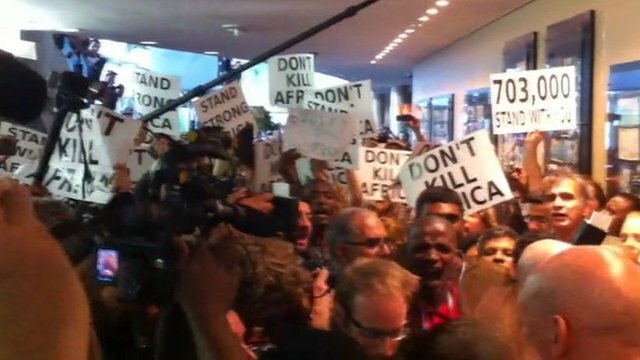 A deal is yet too be reached and whilst the negotiations were going on - dozens of environmental activists took to the corridors at the venue, criticising the slow process and urging the United States to act. The protests came to a halt once the UN security guards surrounded the demonstrators. Eric Camara reports from Durban, South Africa. This footage was filmed on mobile phone.